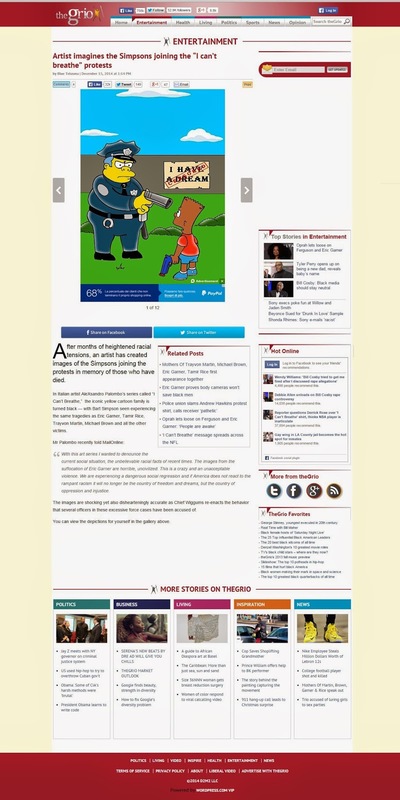 PRESS NEWS - LE FIGARO "Les Simpson parodiés pour dénoncer les violences policières aux États-Unis"
L'illustrateur italien aleXsandro Palombo a souhaité rendre hommage aux victimes de violences policières en noircissant des personnages de la série d'animation. 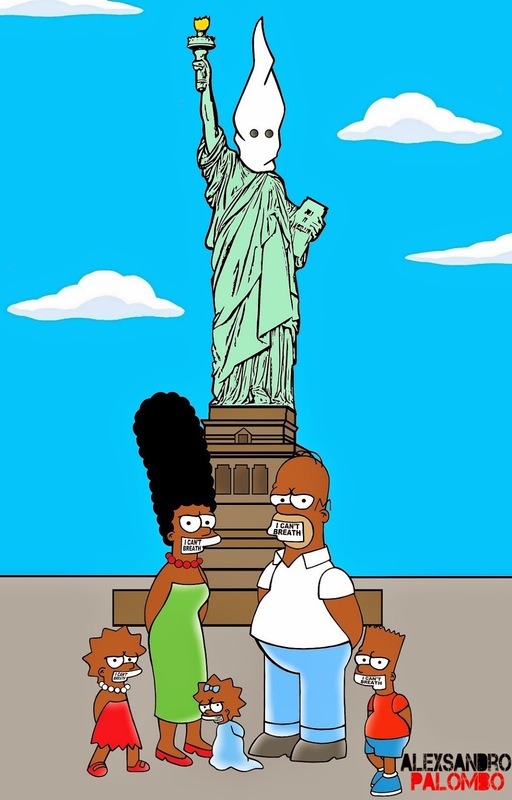 La série Les Simpson serait-elle une source d'inspiration pour l'artiste aleXsandro Palombo? Après avoir habillé Marge des robes légendaires de l'histoire de la mode et l'avoir ensuite transformée en femme fatale vêtue de latex, l'illustrateur italien a décidé de rendre hommage à Eric Garner, Tamir Rice, Trayvon Martin, Michael Brown et toutes les autres victimes de violences policières en noircissant plusieurs personnages de la série d'animation créée par Matt Groening. Intitulée I can't breathe ( «Je ne peux pas respirer») en référence aux derniers mots d'Eric Garner, mort étouffé par un policier qui procédait à son arrestation en juillet dernier et devenus le slogan des milliers de manifestants, la série de dessins met en scène Homer et sa famille dans des situations qui ne sont pas sans rappeler les différents événements qui ont récemment secoué les États-Unis. 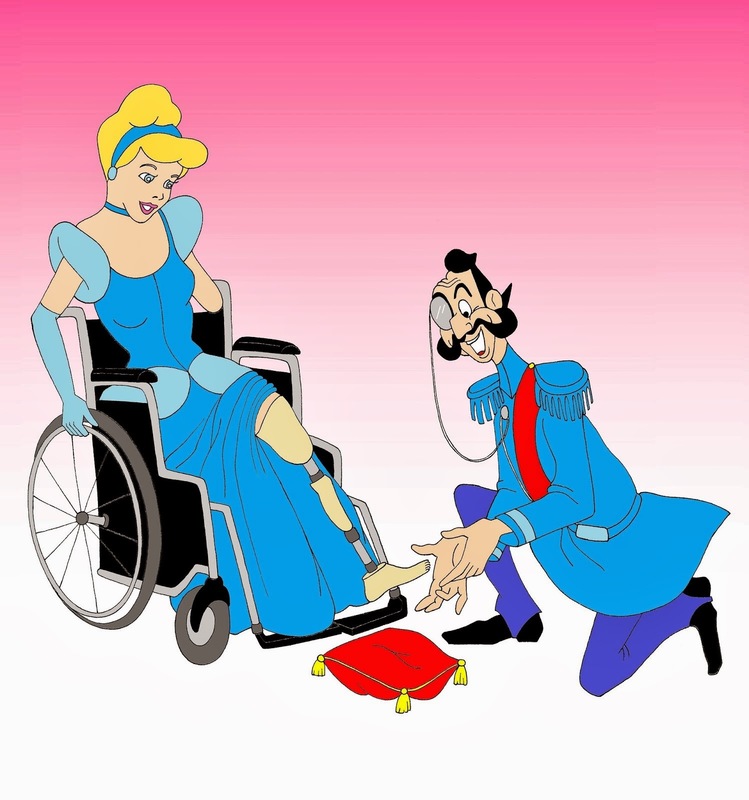 «Avec cette série de dessins, je voulais dénoncer la situation sociale actuelle et les faits raciaux incroyables de ces derniers temps. Les images de l'étouffement d'Eric Garner sont horribles et non civilisées. C'est une folle et une inacceptable violence. Nous vivons une régression sociale dangereuse et si l'Amérique ne réagit pas à ce racisme rampant, il ne sera plus le pays de la liberté et des rêves, mais le pays de l'oppression et de l'injustice», a déclaré aleXsandro Palombo à Mail Online. 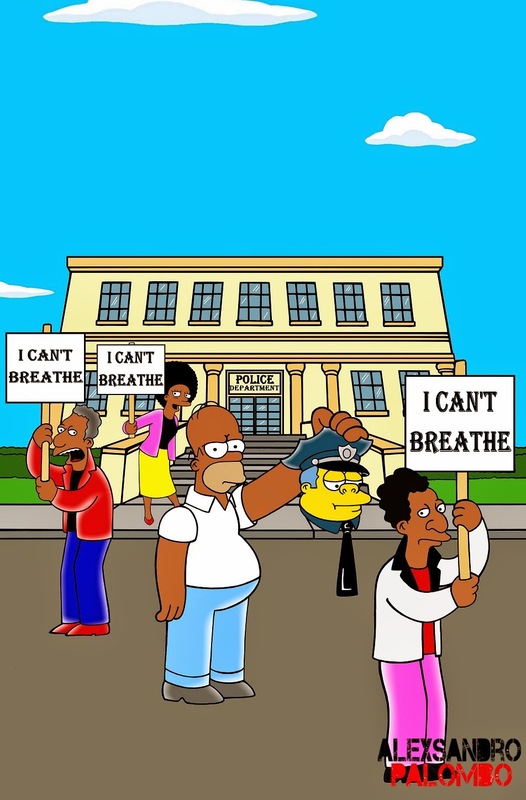 PRESS NEWS - THEGRIO "Artist imagines the Simpsons joining the “I can’t breathe” protests"
After months of heightened racial tensions, an artist has created images of the Simpsons joining the protests in memory of those who have died. 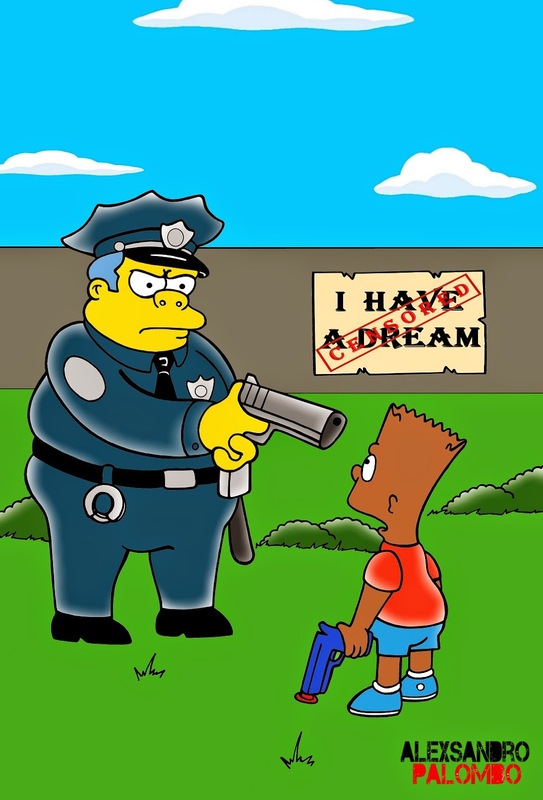 In Italian artist AleXsandro Palombo’s series called “I Can’t Breathe,” the iconic yellow cartoon family is turned black — with Bart Simpson seen experiencing the same tragedies as Eric Garner, Tamir Rice, Trayvon Martin, Michael Brown and all the other victims. 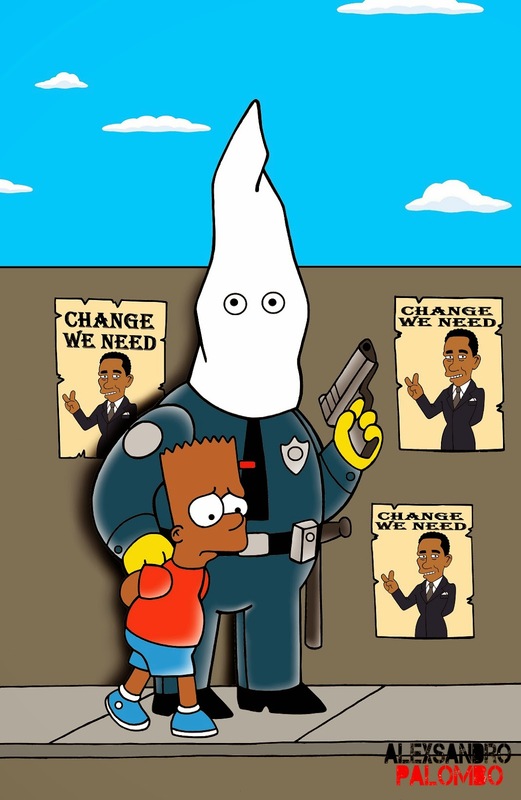 With this art series I wanted to denounce the current social situation, the unbelievable racial facts of recent times. The images from the suffocation of Eric Garner are horrible, uncivilized. This is a crazy and an unacceptable violence. We are experiencing a dangerous social regression and if America does not react to the rampant racism it will no longer be the country of freedom and dreams, but the country of oppression and injustice. 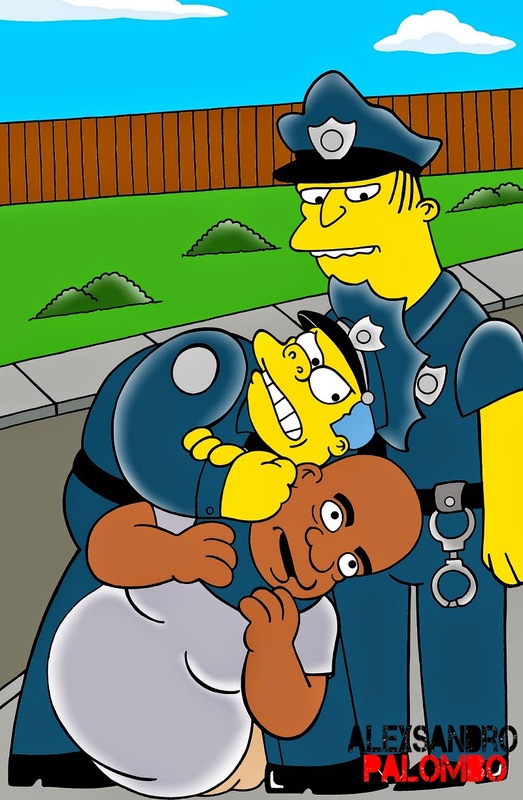 The images are shocking yet also dishearteningly accurate as Chief Wiggums re-enacts the behavior that several officers in these excessive force cases have been accused of. You can view the depictions for yourself in the gallery above. 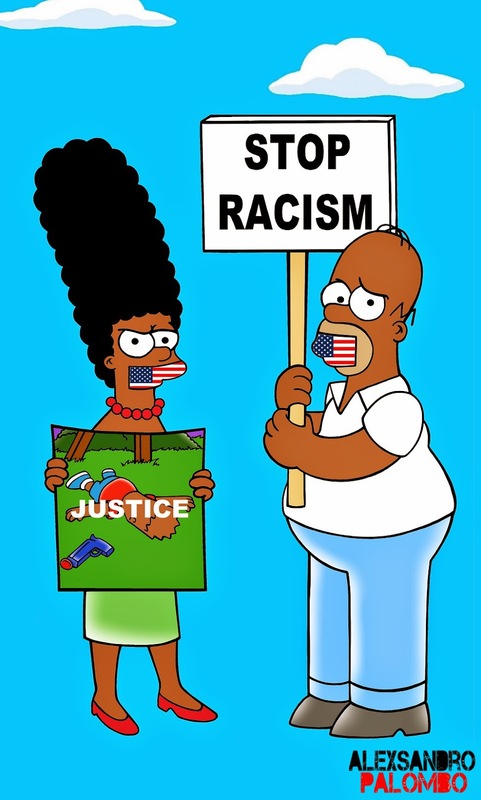 PRESS NEWS - DAILYMAIL "Now the Simpsons can’t breathe"
America's race shootings have led to months of unrest across the country - but now an artist has imagined the Simpsons protesting in memory of the victims. 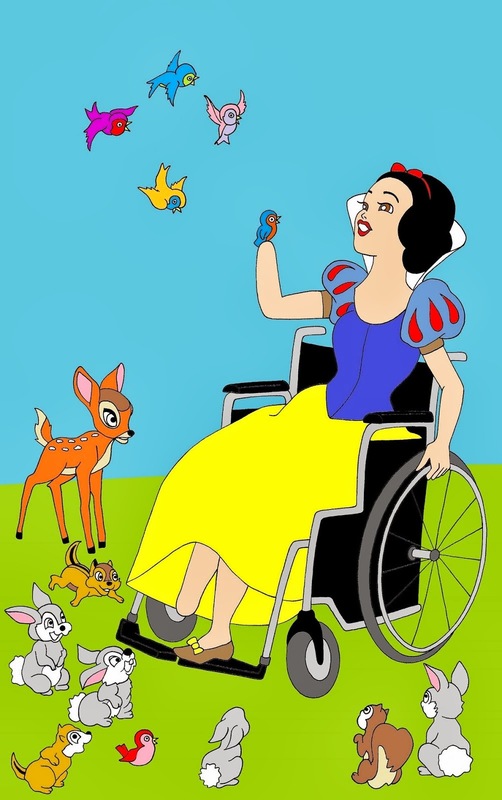 In a series called 'I Can't Breathe', Italian artist AleXsandro Palombo has turned the usually yellow cartoon family black in memory of Eric Garner, Tamir Rice, Trayvon Martin, Michael Brown and all the other victims. 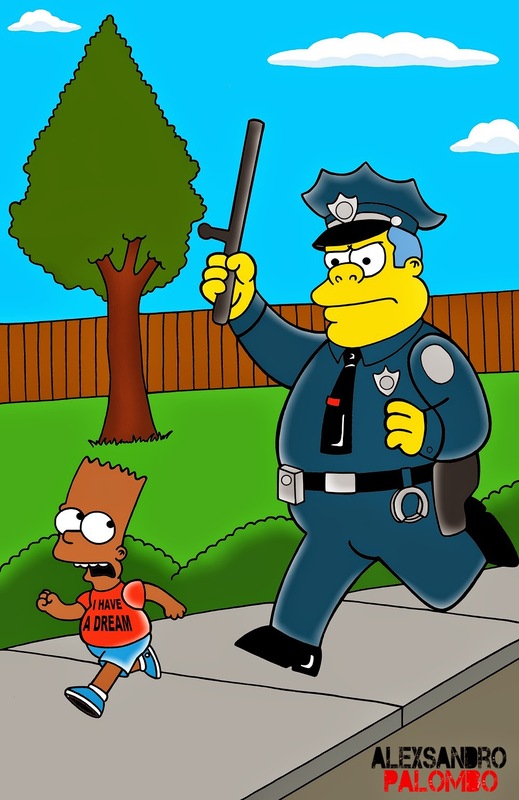 In a series of shocking images, Chief Wiggum chases Bart waving a baton, then aims a gun at the ten-year-old, who is clearly holding a toy gun, at point-blank range. 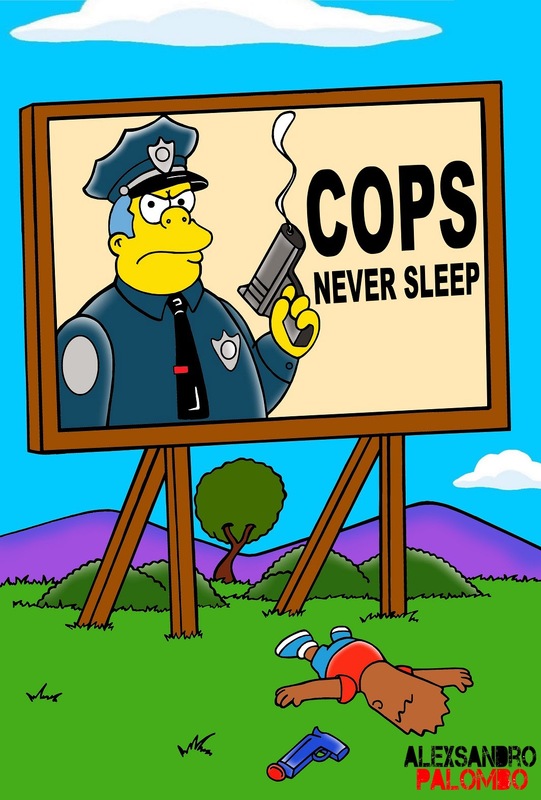 Bart is then pictured face down and apparently dead in front of a giant billboard showing the police chief with a smoking gun and the words: 'Cops Never Sleep'. The pictures eerily reflect the death of Tamar Rice last month, a 12-year-old who was playing with a pellet gun last month. He was shot by a Cleveland police officer at a park on November 22 and died the following day. 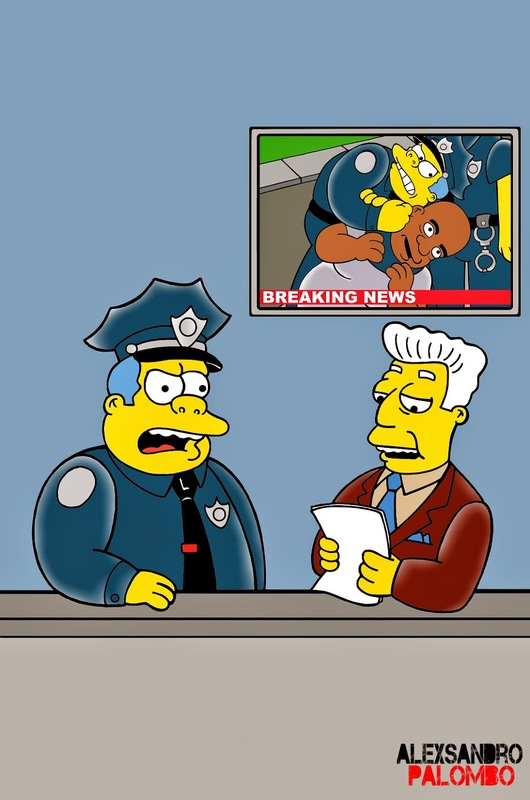 Mr Palombo also echoes the death of Eric Garner - with Chief Wiggum depicted holding a black character in a chokehold and then appears on the news alongside presenter Kent Brockman discussing the incident. Mr Garner died in Staten Island, New York, when officer Daniel Pantaleo put him in an apparent chokehold, despite reports he had said: 'I can't breathe' - words which have now become a prominent feature in protests. Mr Palombo told MailOnline: 'With this art series I wanted to denounce the current social situation, the unbelievable racial facts of recent times. 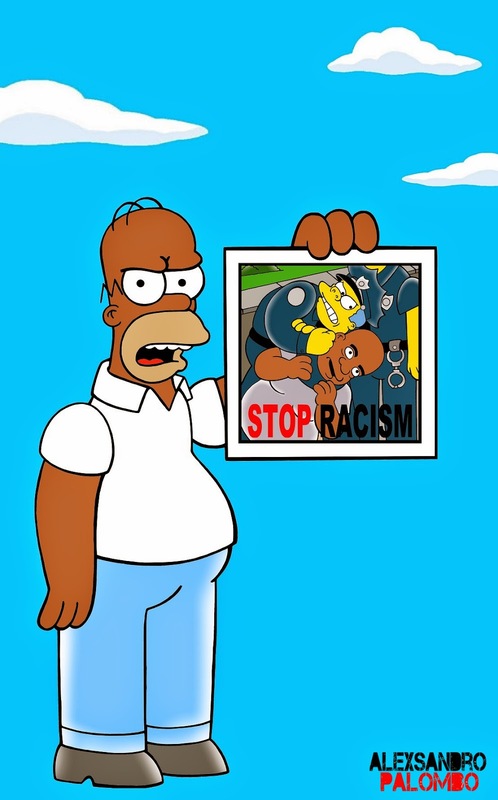 Other pictures show Homer, Marge, Bart, Lisa and a whole host of characters from the show are seen waving placards to 'stop racism' - reflecting the chaos that engulfed Ferguson, Missouri after the fatal shooting of 18-year-old Michael Brown. 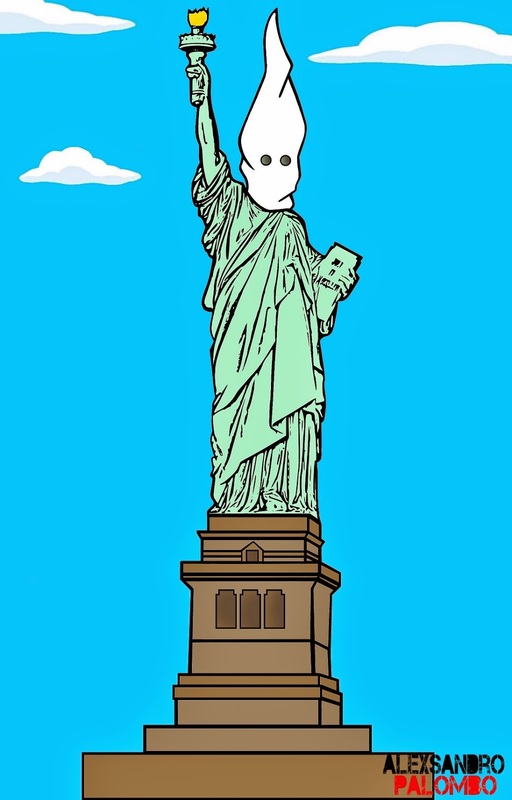 The family also pose in front of the Statue of Liberty, whose face is covered with a Ku Klux Klan hood, with their mouths covered. 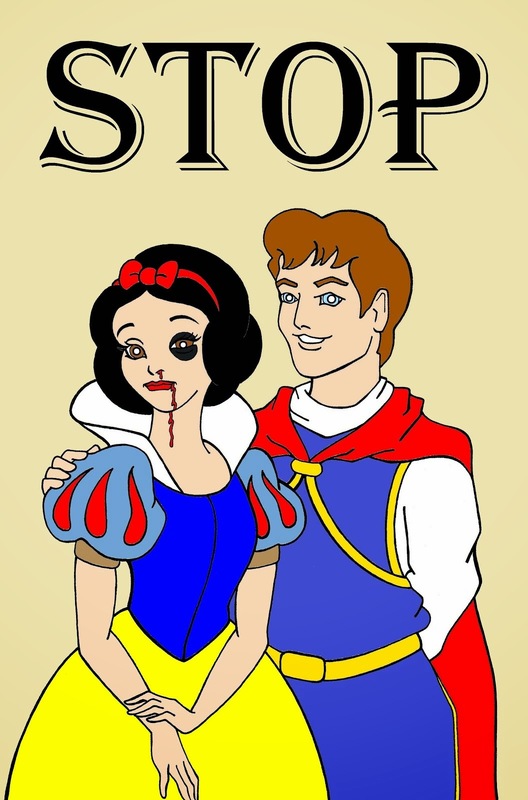 Mr Palombo is well-known for his satirical artwork to promote causes he believes. 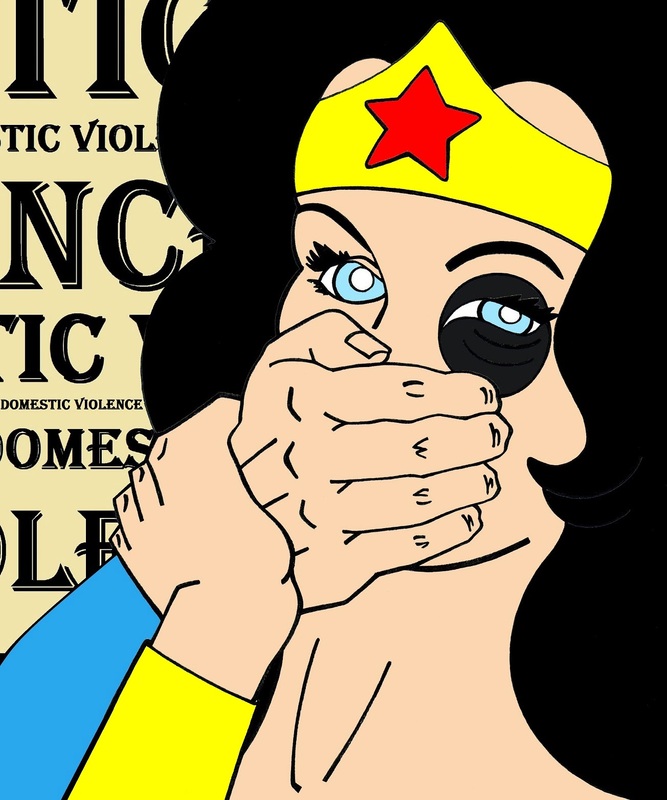 Last month, he depicted demale cartoon characters as victims of domestic violence to mark the International Day for the Elimination of Violence against Women and also re-imagined Disney princesses as breast cancer survivors to promote awareness of the disease. In memory of Eric Garner, Tamir Rice, Taryvon Martin, Michael Brown and all the victims. 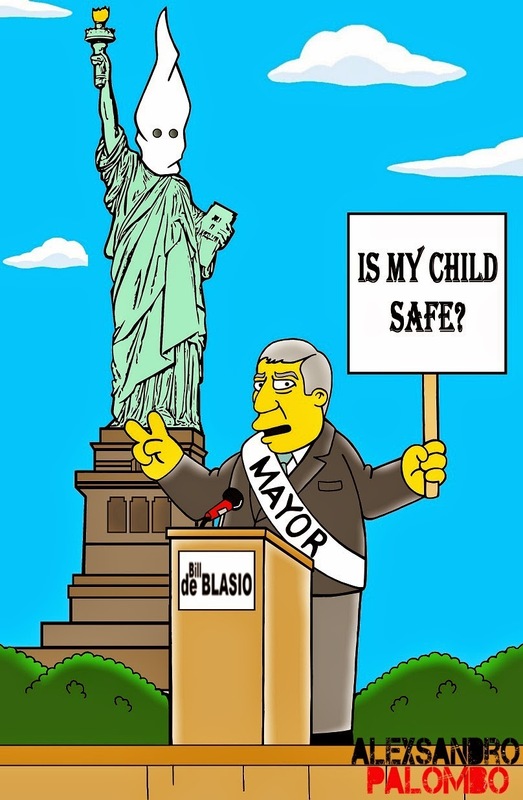 With Homer and Marge Simpson, Bart Simpson, Clancy Winchester, New York Mayor Bill de Blasio and Kent Brockman.